Thanks to Andy in Oman for the picture! Just a small post. 42 years ago today, Sultan Qaboos bin Said started his reign over Oman, at age 30. For more information about the events surrounding his rise to power, I'd highly recomend you read the book, "Storm Front", very interesting! In these 42 years that have followed, I don't think anyone could really argue with the vast changes that have occured here under his rule. The man has certainly had a plan! On nationals cards there is no position mentioned. 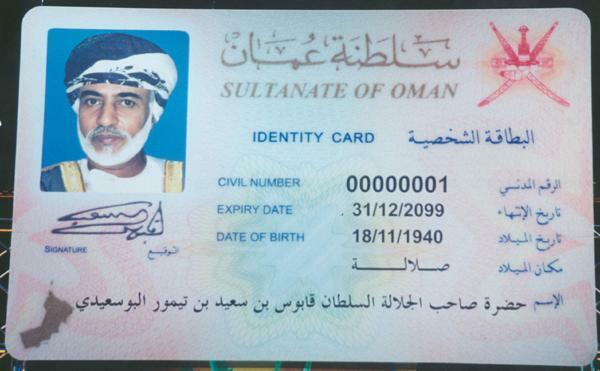 It's written: His Majesty Sultan Qaboos bin Said bin Taimur Al Busaidi.